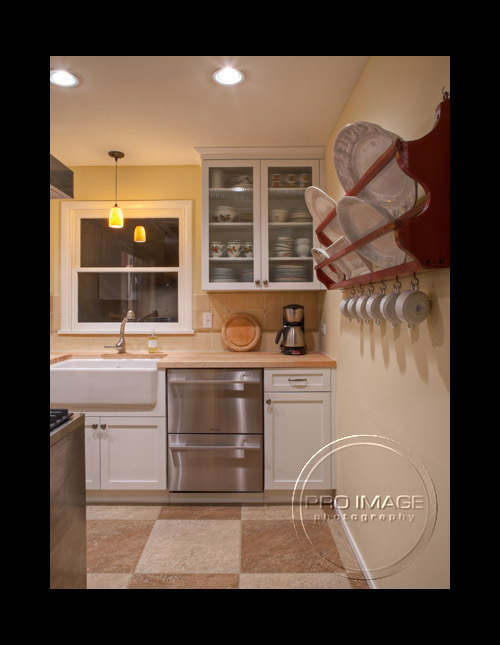 This kitchen needed an update for many reasons as the above picture shows. With the large floor tiles in a checker board pattern friends of the clients actually thought we had moved a wall as it seemed so much larger after the remodel was complete. 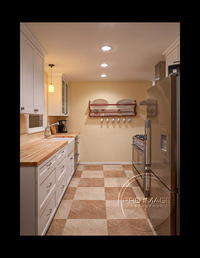 Taylor Kitchen showing the 20 x 20 floor tile used which made the smaller space feel larger overall. A new take on the "galley" kitchen. Taylor Kitchen showing the vintage butcher block that came into Altstadt Interiors Consignment Shop during the remodel and was perfect for this kitchen. 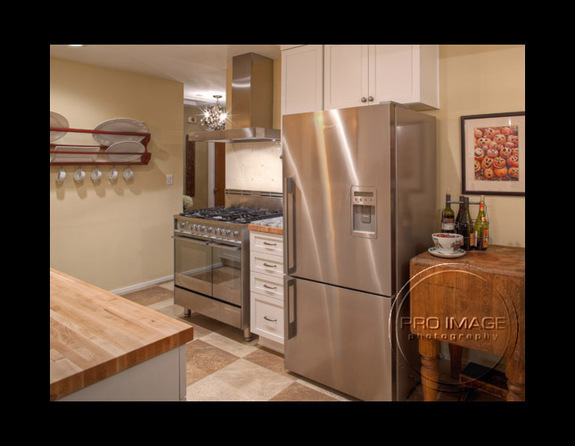 Wonderful high tech appliances along side an antique butcher block found just in time for the remodel.